Sydney Shop Girl: The Loveliness of Boden. It all started on a Friday night, as many a good virtual shopping basket often does. With spring finally in the air and a long week behind me the scene was set for a bit of a wardrobe update for the new season. For inspiration, I had my mood board / necklace stand decked out in my Lovisa finds from the last few months next to my computer as I browsed. Boden is a British label I've just discovered and it's a label who in turn, has just discovered Australia. Boden began its life in 1991 originally as a British mail order business focusing on menswear but it was obviously too good to be kept a secret from the rest of the world and Boden is now a world wide retailer who distributes around 50 million catalogues each year and sells clothing for men, women and children under an umbrella of labels. The Australian website has recently launched featuring all items in Australian dollars, a flat shipping rate of $10 per order and 10% off everything. I love the feel and look of the website. It's so quintessentially British with its gentle humour and warm turn of phrase. And then there's the clothes. Oh, the clothes. Work co-ordinates that make you want to wake up in the morning and get dressed for a day at the coal face. And not just in 'pay rise black' as Boden refers to the shade but in a host of beautiful jewel tones and patterns. For those of you who're a bit dark at the local high street labels and their obsession with things that real women can't wear to work and don't want to wear at the weekend then Boden is a site (and sight) for your jaded eyes. Dresses that are either fitted or flared and run at reasonable lengths (no billowy sacks). Tops for work and for the weekend that go beyond button down shirts or plain Ts. Plus quirky finishes like contrasting linings of spotted fabrics. I'm not here to put down our local offerings but it's just that none of it has been me for a very long time and it has been a little disappointing to go out window shopping and not feel compelled to walk into any of the chain stores except to buy things for Toddler SSG. Price wise, we're talking a little more than ASOS or Next but still cheaper than say Country Road or Cue. And now that I've received my order I can vouch for the beautiful finish of Boden clothing for the price point. Substantial fabrics, generous cuts and everything I ordered was fully lined with pockets to boot. After an email confirming my purchases and inviting me to both obsessively track my order and sit back with a cup of tea, I really did get my order within the 3 - 5 working days as promised by the site. It arrived packaged in a navy spotted post bag dotted with Boden-isms. My order even had a faint scent of lavender when I opened the individual garment bags. I made the mistake of reading the enclosed catalogue and am trying hard not to place an order for one of practically everything on its pages. This is what I ordered. I've listed the price I paid as part of the 10% off promotion with the full price in brackets. All in Australian dollars. Most things come in a regular and longer length. There's also a useful suggested size guide based on what you've bought from a range of comparable brands. The spot jacquard dress $133.20 in orange ($148.20). The spots have an embroidered border to them, giving the classic dress a bit of a twist. The Beaufort shift dress $133.20 ($148.20) which I'm wearing today as part of that good old shift dress with black opaques look. This dress does run a little short but to hashtag inappropriately, #yolo. Shift - Boden, necklace - Lovisa. I love it when a plan comes together, the shift worked brilliantly with one of my $7 Lovisa specials,. This is the Sophia skirt $97.20 ($108) - it's pretty, it's a lovely print and fills a void in my skirt collection. 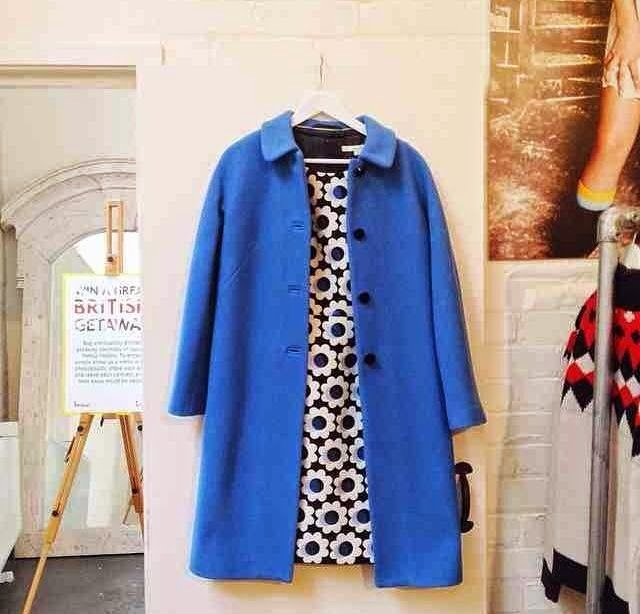 Have you discovered Boden? Are you as obssessed as I am? How did we even walk out the front door in our pre-Boden lives? Before I leave you to a weekend of finals football (ho hum....), Target have revealed the full collection of Missoni collaboration items on their website. What's more, you can even create a wish list that will be emailed to you on launch day which is Wednesday October 8. Less than two weeks to go!! My wish list is looking a bit over the top right now. Given that I'll be off on holidays soon after. We will see. Impressed by the shipping time with your Boden order - how is it that we can get items from overseas quicker than we can from Aussie based websites?! I'll never figure that one out! Hope you got your waiting list organized. I don't know whether to thank you or curse you - one visit to the Boden website and I am jackets, dresses and tops richer, but $ poorer! Thanks so much for sharing your tip re Boden. I absolutely love their dresses and placed an order for a dress and a tote bag. Exciting.